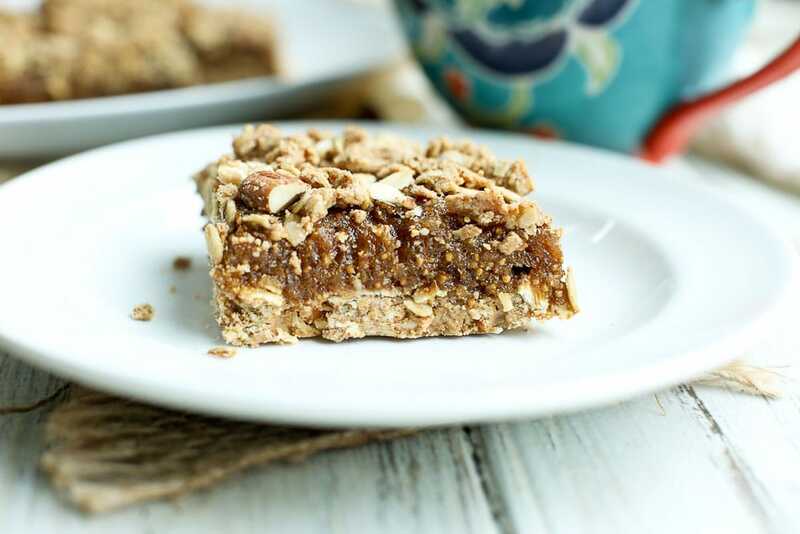 These Oatmeal Fig Bars are vegan, gluten-free, and a lovely healthy treat! Costco got the best of me again. I saw a HUGE bag of dried figs, and, quite spontaneously, threw them in my cart. I didn’t really think about what I’d do with a giant bag of dried figs. The bag was much too big for simply having a fig or two a day when I need a quick bite. No, I needed to come up with another use for these figs. My mind immediately went to my childhood and how much I loved Fig Newtons. A lot of kids didn’t like the actual fig ones, but I did. That fig flavor just does it for me. Creating actual Fig Newton cookies seemed like too much work and I didn’t want to deal with it. Story of my life. I love to cook and bake and make homemade things, but I’m also a busy mom who doesn’t have time for long extravaganzas in the kitchen. Insert Oatmeal Fig Bars. With barely any added sugar, these are wholesome (like, actually wholesome, not just the perceived type of wholesome as in the Fig Newtons of my youth…) and delectable. AND they won’t take you all day to make. 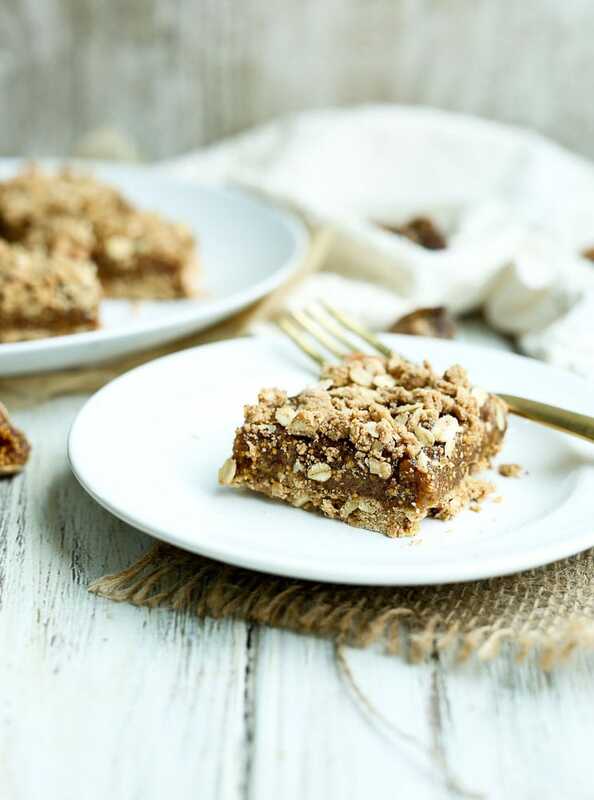 I think these Oatmeal Fig Bars > Fig Newtons because I added some chopped almonds to the crust and topping and the crunch factor is outstanding. Are you a big fan of contrasting textures? I love it and the crunch here is quite satisfying. We use the dried figs to make a quick jam filling and it’s incredible. I could eat this stuff with a spoon. I guess I should write I did eat this stuff with a spoon. Try to save some for your middle layer. 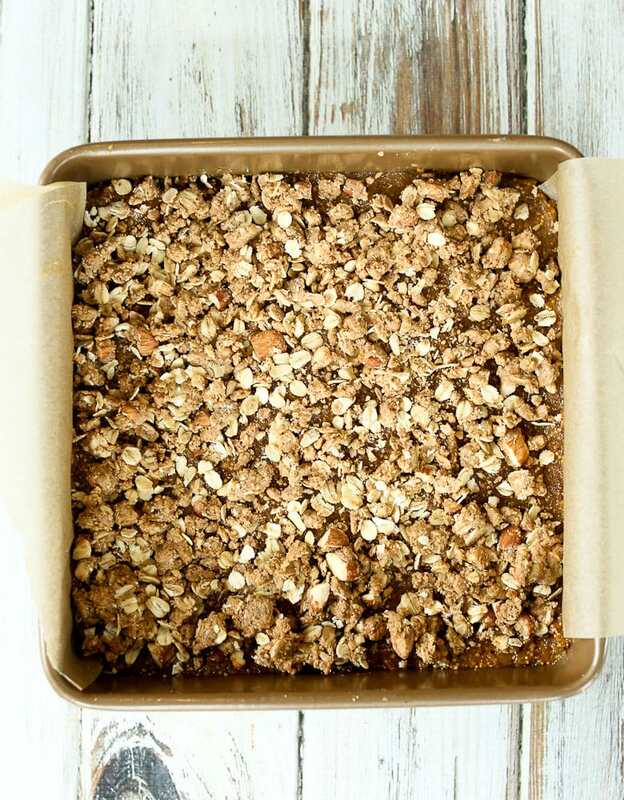 Add your crumble topping and you’re ready to bake it! 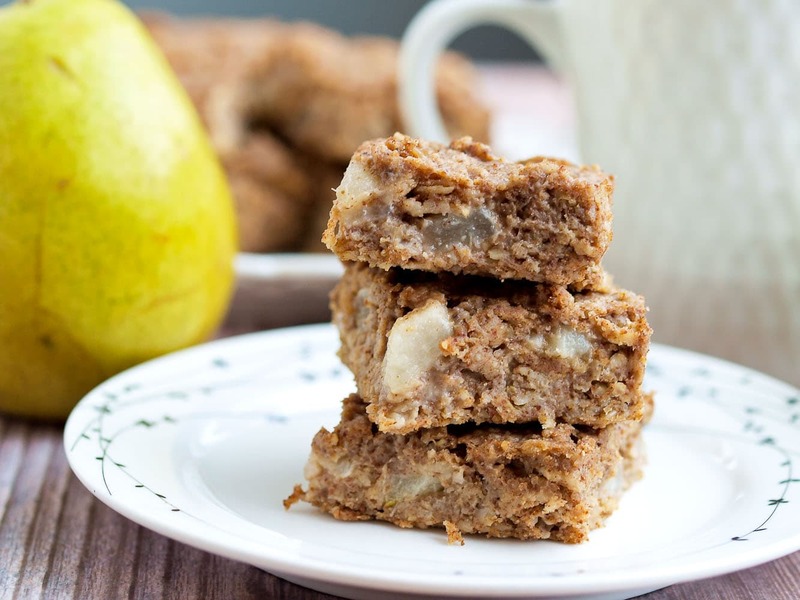 These Oatmeal Fig Bars are perfect for breakfast (hello, oats, almonds, figs…), snack, or even a healthy dessert. I hope you love them as much as I do! 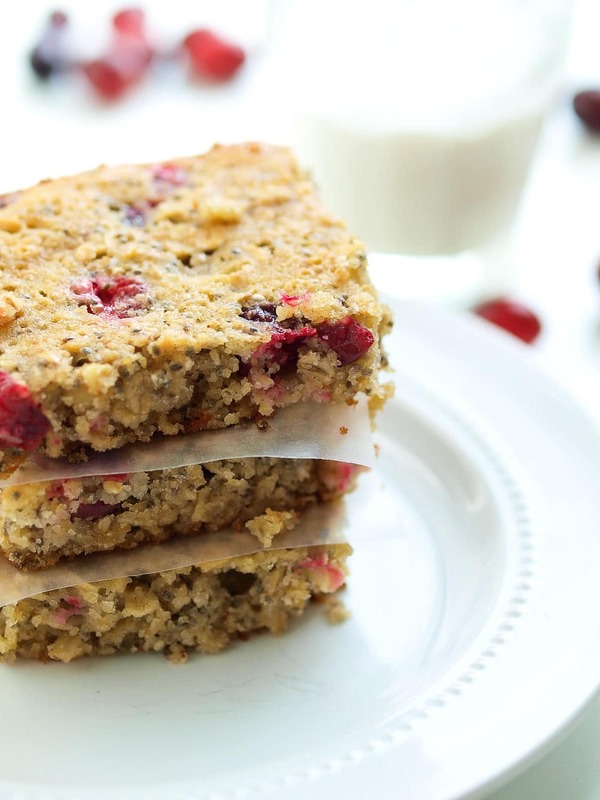 These Oatmeal Fig Bars are a wholesome version of Fig Newtons! Preheat the oven to 350 degrees. Line an 8X8 inch baking dish with parchment paper, leaving overhang on the sides. 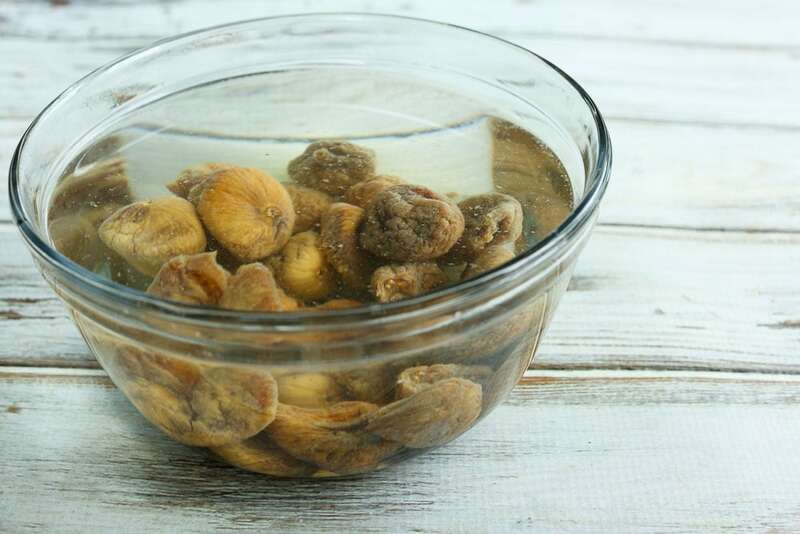 Put the dried figs in a bowl, and cover them completely with hot water. Allow them to soak for 10 minutes. 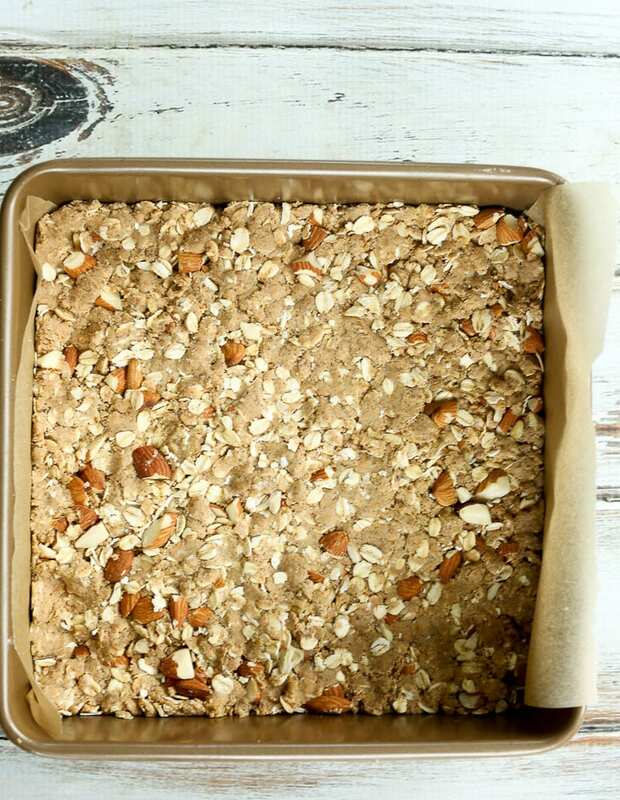 In a large bowl, mix together the rolled oats, oat flour, chopped almonds, ginger, cinnamon, and salt. Add the almond butter and mix until everything is combined. Take 3/4 of the mixture and press it into the bottom of the baking dish. Use the back of a cup or spatula to press it down firmly. Remove the figs from the water and put them in a food processor. Add 3 tablespoons honey and 2 tablespoons of the soaking water and process until it is a smooth mixture. Take the fig mixture and spread it on top of the almond oat crust. Top with crumbles of the remaining almond oat mixture. Bake in the preheated oven for 20 minutes. Allow to cool before cutting into squares. Enjoy! 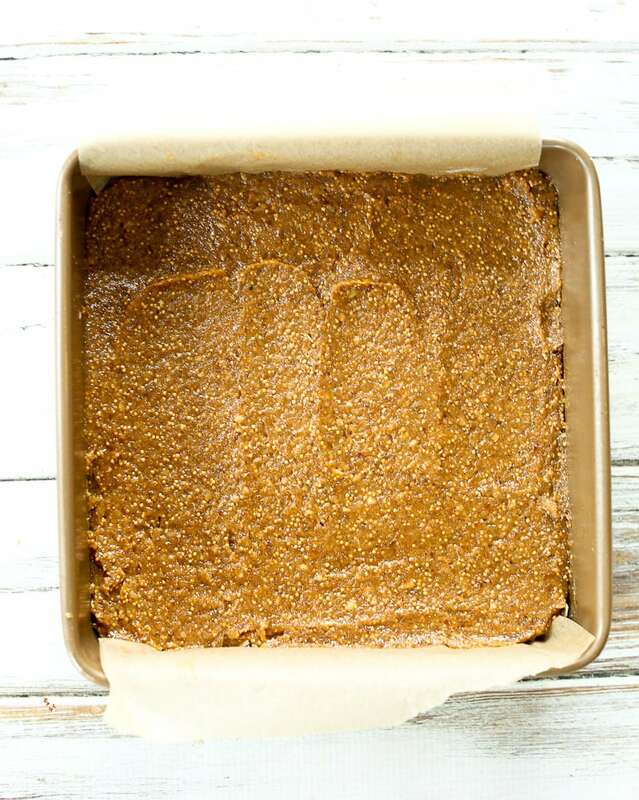 *Rolled oats may be processed in a blender to make oat flour. AP or whole wheat flour can be substituted if you wish. 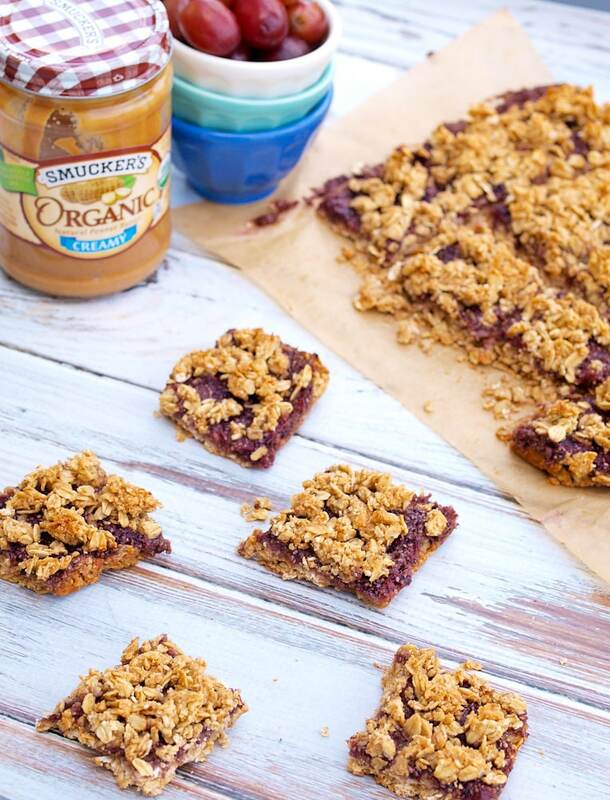 If you make this Oatmeal Fig Bar recipe, or any Happy Healthy Mama recipe, I would LOVE to see it! Please take a pic and share it on Instagram or Facebook and tag me @happyhealthymama ? 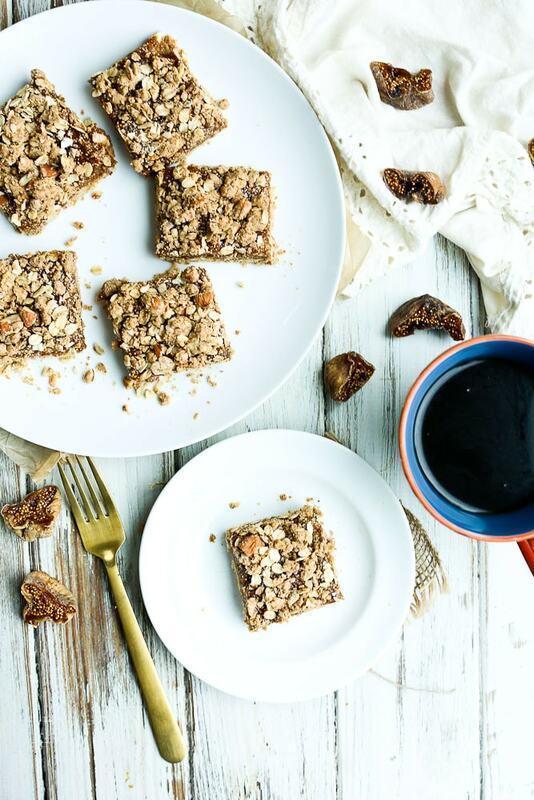 Do you like the idea of fruity bars, but are not really into figs? 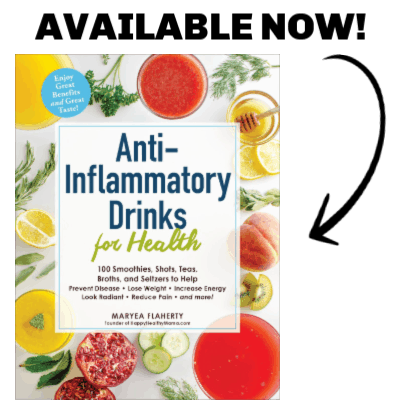 Try one of these other recipes! I too bought the HUGE bag of dried figs at Costco and they are so lonely sitting in my fridge. Super excited to try this recipe ASAP. Thanks! Yay! It was meant to be! Oh no! Then I have had many a dead female wasp in my tummy. I love dried figs. Oh well, easy in, easy out. I recommend using sunflower seed butter in place of the almond butter and chopped sunflower seeds in place of the almonds. Please let me know if you try it! As another victim of the Costco giant bag of figs (more than once), I was happy to find this recipe that works beautifully and tastes wonderful! I double the recipe and make it in a 13×9 pan. It gets rave reviews from my GF and fig loving staff! I’m so happy to hear this Jessica! Wonderful recipe, thank you! I made it with peanut butter (because I didn’t have any almond butter) and a mix of figs and dates (because I didn’t have enough figs). Also, I’m avoiding sweeteners right now so I didn’t add any and it is still delicious! It might not have been sweet enough with just figs, but the dates add more sweetness. Can’t wait to have some in the morning with coffee!